Welcome to Kais Comfy Corner Child Care and Learning Center. Early childhood years are a very special time in your childs development. We are excited to become a part of this learning experience. Kais Comfy Corner has been in operation since 2002. 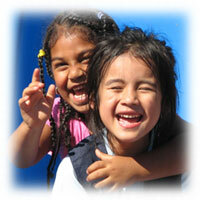 We were founded to fulfill an increasing need for quality childcare in our area. We have a diverse group of children and staff. We provide a quality, age appropriate curriculum that fosters a childs total self, teaching them self-confidence, self-awareness, self-control and self-respect, while embracing and celebrating the differences in us all. Kais Comfy Corner is a state licensed facility and is Keystone Stars accredited. We believe each child is a unique individual and we are sensitive to their social, emotional, physical and cognitive development. Our program focuses on the process of learning and helping children enjoy successful experiences. We encourage not just learning, but the love of learning. At Kais Comfy Corner our philosophy is "Laugh. Play. Learn." Our center is a place where children are allowed to be children, to explore their world using their imagination, and to feel loved and cared for in a safe and healthy environment. Our teachers are creative and caring individuals who are dedicated to the children in their care. They are supported with trainings, resources and the freedom to create unique learning experiences for our children. They strive to create a partnership with parents and guardians who we believe are the most significant adults in a childs life. Their goal is to make sure your child is equipped with the knowledge and social skills needed to have a successful start. Our Center is enhanced by the latest state of the art security video surveillance and an electronic buzz in security door. We have an onsite gated playground with jungle gym and safety surfacing for daily outdoor play and a parking lot for convenient drop off and pickups. 6:30 A.M.  6:30 P.M.